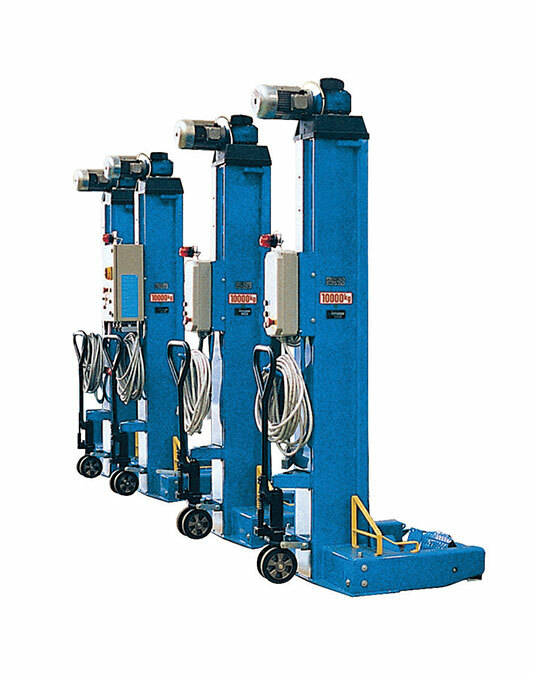 The RAV232NL 22t column lift is the ideal lifting system for B-doubles, mobile cranes and workshops where space is an issue and workshop flexibility is required. Fully mobile with indoor models available, other models with capacities ranging from 3.0 tonne up to 10.0 tonne per column are available in the Ravaglioli range. Four, six and eight column lifting systems are available but not held in stock. Hydraulic towing jack available on request.